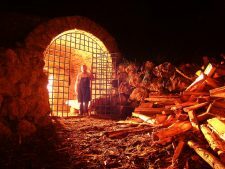 Who will go into the ‘furnace of fire’ Jesus warned about? Following is part 1 of a series entitled “Hell Interrupted” by Tim Barnett and Greg Koukl of Stand to Reason. Barnett and Koukl go to the scriptures to answer the burning question: Is the future punishment of the wicked a place of eternal fire? You may not have noticed, but Hell is not as popular as it used to be. Simply put, the doctrine of Hell has fallen on hard times. Jehovah’s Witnesses have long denied Hell, at least the everlasting punishment part at the heart of the classical view, along with Seventh Day Adventists, each teaching that, in the final judgment, the unrepentant wicked will be snuffed from existence—annihilated. Currently, however, it’s not just those on the theological fringes who are rejecting the idea of Hell as eternal conscious torment, but also respected evangelicals like theologian John Stackhouse and the late Anglican, John Stott, venerable rector emeritus of All Souls Church in London.